We know you’re busy so we’ve done most of the hard work for you – the workplace trivia games have been designed to make it quick and easy for you to implement within your team with easy to follow instructions that you can have it set up and playing in minutes. 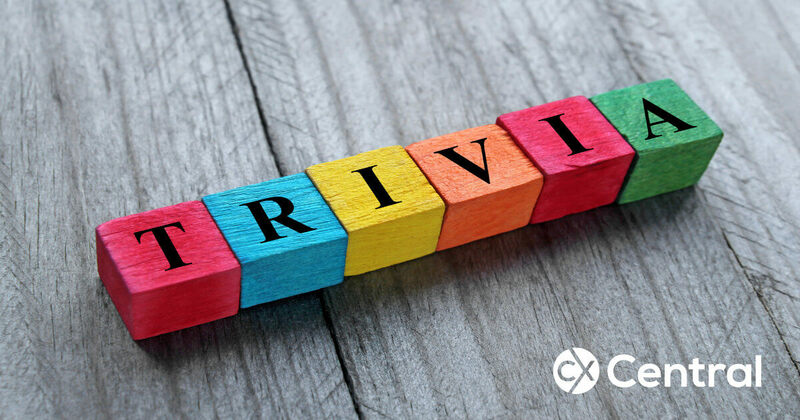 The workplace trivia games consist of 20 questions combining some general trivia questions with some questions that are designed to get your team talking to each other. What’s in the workplace trivia games? Our workplace trivia games are typically questions about topical events combined with movies, music, science, nature, the human body etc. Essentially questions designed to ensure there is something for all age groups. While the exact combination differs each quiz, we aim for around 15 general trivia questions with 5 questions where the only way to find out the answers is to get to know your work colleagues better. The template is in Microsoft Word and of course, if you need to, you can substitute our questions for some of your own or also include product or company questions to ensure your staff are up to date with the latest news and information. Our quizzes (and all of our other downloads) are only available to our newsletter subscribers. You can subscribe to our newsletter here and instantly unlock all our content.